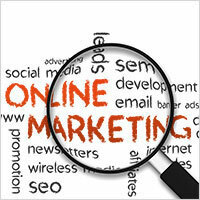 Every online trading endeavour relies heavily on online marketing campaigns. This is by all means one of the most important segments of the entire online trading operation. Carrying out the marketing effort in a proper and effective way guarantees the profitability of the entire project, so it is of the utmost importance to do whatever it takes in order to cover all segments that need to be covered. One of the most common mistakes people make when it comes to digital marketing is ignoring certain verticals and omitting involvement in certain segments of the marketing campaign. Of course, it is necessary to be aware what options you have at your disposal in order to cover them all, and that can be quite a challenge to all those who are just starting trading online, as well as to those who haven’t been following all the latest developments in the industry. Simply, the impactful changes are now happening on a very fast pace and constant tracking of the market trends is the only way to stay in touch with everything that is required in order to succeed. This change is best illustrated in development of social media marketing which was virtually non-existent just a few years back as a part of eCommerce marketing. We will deal with this issue in a separate segment of this article, but that is far from the only novelty that has appeared on the market lately. Search engine optimisation is the first and the most important step of any online marketing effort. Only the websites that have their SEO carried out in a proper way will receive enough visits that could be converted into customers. The most important thing with the SEO is that the traffic coming from this source is permanent and free of further investments. In this way, you are able to generate a constant influx of new visitors, expand the brand awareness, and even make permanent connections to those visitors via newsletter subscriptions. What needs to be done: All blog posts, announcements, and product descriptions need to be fully optimised for search engines. How to do it: Consult the experts and hire the experts to do it. The entire process is far from simple and requires deep keyword research, detailed planning, scouting the opposition, and creative implementation. This is something where good copywriters with degrees in journalism are of little help. Although they are very creative and have perfect writing skills, SEO requires far more than that. The best option to go with includes specialized digital agencies that have SEO in their portfolio of services. The changes in this segment are the fastest paced on the entire internet, and new updates to the SEO rules are now launched almost monthly! Useful tip: Make sure you don’t miss a single detail. The most common mistake includes generic names on the product pictures. Alternate text and titles on them are definitely something you want to cover. Although it is a small detail, it can often give you just the edge you might need to beat your opponents. Going ahead the pace of organic ranking in the very beginning of your online business is the most usual way to draw some attention and start operating with a statement that you are there to stay! This is usually done via pay per click campaigns (PPC). This segment is very similar to the SEO, but does not require too much of a creative effort. On the other hand, it requires a constant budget for paid advertising. The benefits of this approach are best seen in the ability to obtain some customers straight away and to start building customer base without delay. Running PPC campaigns can be somewhat tricky as the keyword research needs to be carried out in a somewhat different manner than for the organic SEO. Instead of following all the usual steps which involve expanding brand awareness and creating interest, the KWS used in PPC should be more focused to direct conversions. The beginners in eCommerce marketing almost always make huge mistakes when it comes to PPC and that can impose some serious financial losses to the business. What needs to be done: When running PPC campaigns you need to focus on the KWS that convert, and you need to optimise the process constantly in order to make it effective. How to do it: Always go into it gradually. Make smaller sample campaign tests. Always target different geographies separately, as some KWS can work brilliantly in certain countries and bring nothing but losses in others. Constantly optimise the campaigns via identifying the KWS that are bringing the best ROI. Useful tip: When dealing with multiple markets PPC campaigns in localized manner are the most valuable asset. Ask for help when it comes to phrases in certain languages. Simple translations don’t always work. As the matter in fact – they usually don’t! Social media optimisation is a segment that becomes increasingly important as the social networks become one of the most valuable sources of potential customers. Putting your business on social media will generate attention, and posts on them increase SEO value of your content and increase the possibility of getting new customers. The social media strategy you want to push needs to include all the major channels for advertising. For retailers of all types, Facebook, Twitter, Instagram, and Pinterest are essential channels for reaching new customers. Companies selling services have little use of Pinterest, Instagram is not mandatory channel for them as well, but they need to focus heavily on Linked In. YouTube is also an option for social media optimization, but this is definitely a higher level of social media marketing that should be considered only by the most advanced users. What needs to be done: You need to make sure that your business has presence on all relevant social media and to carry out operations there. How to do it: When it comes to Facebook and Linked In, you need to create a company page where all the relevant posts from your website or eShop will be published. Also, you need to expand the audience to those pages. The best way to do it is to invite the connections you have on those networks to join, plus to invest a bit into expanding audience through paid advertising. Finally, you should join the relevant groups on those social media and share page posts there. When it comes to Instagram and Pinterest, it is necessary to create a profile there and post all relevant content, whenever possible. Finally, when it comes to Twitter, the accent should be on posting content there, and expanding your follower base. Useful tip: Do not overinvest! Facebook ads can be a very good source of traffic, but always aim to generate organic traffic. The best way to deal with social media advertising is to leave social media management to the experts. You can either hire a specialist to run these things internally, or you may opt to outsource this segment to the digital agency. In most cases it is best to outsource, as people working for these agencies are in constant touch with everything that happens in the industry. The changes are rapid and frequent, and that can pose a serious obstacle to the internal staff. Finally, if you are a retailer, you might consider integrating platforms for shoppable content. These platforms can make your social media posts shoppable, allowing shorter decision times, higher customer retention, and increased profitability. Direct online marketing is mostly based on newsletters. In order to even think about it as a main source of the well converting traffic, you need to obtain mailing lists with potential customers. There are several ways to do it, and your digital agency will be able to lead you through the entire newsletter subscription process. It is a topic so wide that it is simply impossible to go into all the details in a form of an article. Still, it is possible to identify main sources of potential subscribers. In most cases they come either via website or via social media. Once you have a newsletter list, you should launch the campaigns to reach to the people on those lists. All the newsletter campaigns should be well devised and MEANINGFUL! This means that you want to send only the relevant messages to the subscribers, and you do not want to send them out too often. Many people tend to get irritated by spammy entries, so if the content is sent out too frequently, or it is not relevant enough, they will most probably lose interest. That can lead to both unsubscribing or to marking you as a source of spam. This is something you want to avoid at all costs, as being marked as a spammer is one of the most serious blows you can suffer. That qualification directly influences all other segments of the business. The anti-spam laws enforced across the globe are pretty rigid, and you want to abide to them to the last letter if possible. The best way to carry this out in a proper way is to be relevant and transparent. Sending out newsletters periodically, with the addition of special promotions is quite sufficient. Additionally, many people use various cloaking techniques in order to be immune to spam qualifications, but this approach is somewhat complicated, requires higher investments, and definitely is suitable only for the most advanced businesses. Some of these techniques are also being qualified as “white hat” approach to advertising, and there is always a risk that the new set of rules will make them illegal. What needs to be done: You need to generate the mailing list, and to devise newsletter campaigns. How to do it: Use only legal channels to obtain subscribers. Your website and social media channels are the best source of subscribers. Newsletters need to be fully compliant to anti-spam laws. The best thing you can do is to hire experts who have a lot of experience in this segment. Useful tip: DO NOT BUY MAILING LISTS! This should be almost a commandment in direct online marketing. Bought lists are almost always teeming with invalid entries and those will increase the bounce rate to the level when you will have a huge chance to end up marked as spammer. Also, use tested mailing clients with strong reputation. Their rules are strict, but they are on the “white list” of mailing services so it significantly reduces risks of making critical errors. Final and the least common option in online marketing is affiliate marketing. In these cases, it is possible to allow 3rd parties to do the marketing for you and to reward them via revenue share. The tricky part with this approach is that most of those affiliate marketers are pretty prone to use any means necessary in order to create profit. If you decide to engage in this endeavour, the only proper way to do it is to address to affiliate marketing networks. Any kind of direct dealing with these agencies can backfire significantly. These affiliate marketers can be used either to increase your sales or to expand your list of contacts. Using CPA networks is definitely the only safe way to press this option. Still, be prepared to invest a lot in these programs, as the affiliate marketers are interested in money, and only money and the good ones cannot be engaged without a proper offer. Since these are the people that often generate millions in revenue on a yearly basis, the offer that could engage them is definitely only possible for enterprise level retailers. What needs to be done: Find affiliates who will do the marketing for you. How to do it: ONLY through certified and well established CPA and affiliate networks! Useful tip: This is not a mandatory step in online marketing. You should go for it ONLY if you have sufficient budget and if you can actually deal with potential losses. If you follow all of the steps we mentioned here, your online marketing campaign will produce results that will impress! We at Studioworx are well versed in all segments of it, and we have a huge experience running marketing campaigns for various brands and retailers. If you wish to consult us on your online marketing effort, feel free to do so via our website or via phone call (the number is listed on the home page).